What is the Purpose of Your firm? In reading the papers this week, there is a trend being discussed that a company's purpose is not to maximize profit (for shareholders), rather it is to bring value back to all stakeholders including employees, community, and the planet at large. The Economist magazine published an article on the french food company Danone (we used to eat that yoghurt as a kid). The company is transforming each of his divisions into a "B" (Benefit) company, where it promises to balance Purpose and Profits. But do you have to choose? The CEO of Danone only gets to keep his job if the stock price keeps rising, so he must think being a "B" company is good for business. This day and age, to attract the best employees and inspire them to do their best (including the millennials) your company must have a strong purpose and set of values. Designs By Sundown from Denver, CO, is a good example of a Top 100 landscape company that is built on the value of integrity. The Container Store, founded in Dallas in 1978 by Kip Tindell, is another example. In his (great!) book, "Uncontainable: How Passion, Commitment, and Conscious Capitalism Built a Business Where Everyone Thrives" he shares that he paid his people twice the industry average, and that they performed at 3x the industry average, as measured by sales per sq foot. How about you? 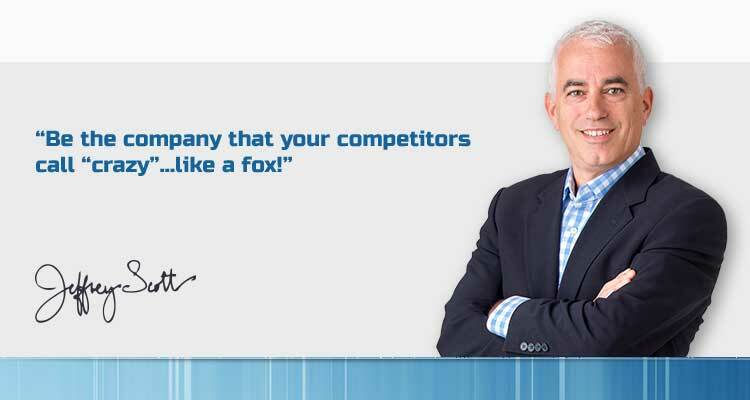 How do you create your competitive advantage? 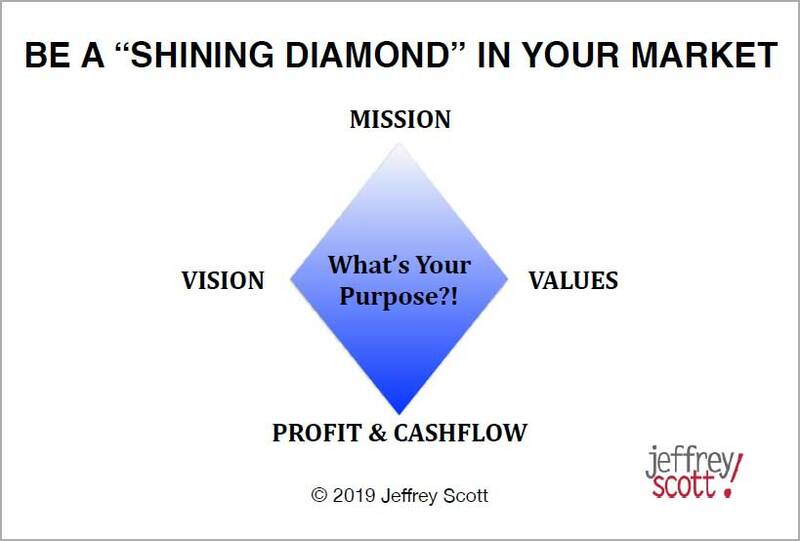 I would suggest to think of your objectives as a 4-pointed Diamond: Mission (Value to client and community), Vision (Growth goals fo business), Values (Commitment to employees), Profit/Cashflow (Fuel for the business). I have found that my best clients are driven by all four objectives! Very few things in life are black and white, so become the shining diamond in your marketplace by taking a larger view of your business.